A double CD featuring three classic albums from Beaver & Krause’s Warner Brothers period circa 1970-1972. Including the celebrated Moog-friendly collaborators’ (Beatles/Byrds/Neil Young/Doors/Phil Spector/Jack Nietzsche/Quincy Jones/Stones/Simon And Garfunkel) quirky mix of early electronics, found sound and musical dalliances from blues to soul, rock to gospel. 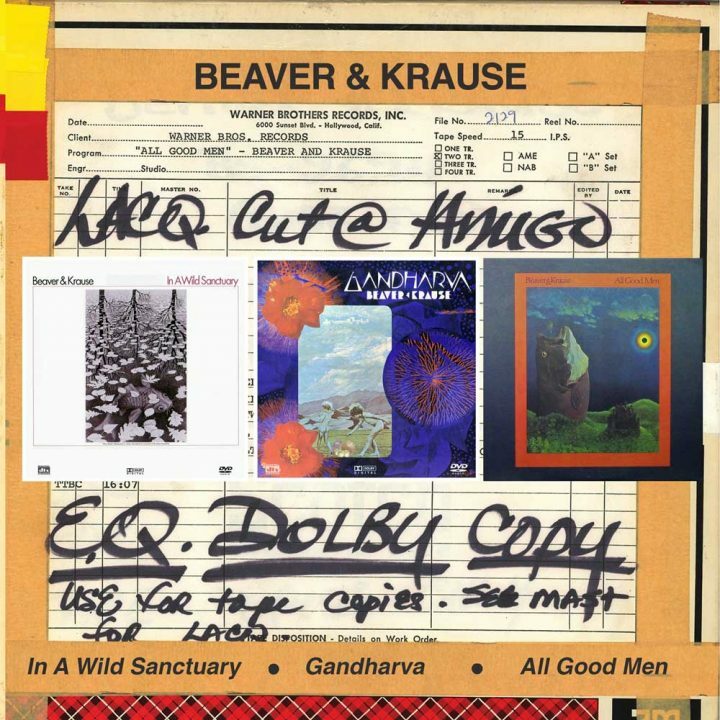 Featuring the eco-friendly “In A Wild Sanctuary” (1970), the haunting “Gandharva” (1971) and the wonky pop of “All Good Men” (1972), underlining the indelible mark the duo made on contemporary music. Filtering Scott Joplin and Bach through the jazz groove of Bud Shank and Gerry Mulligan with the roar of lions and overheard dialogue alongside the swirling futuristic swirl of all-new synthesised sound. Super rare cult albums from this iconic and innovative duo.